Ever wonder how we come up with such amazing stories, recipes, interviews, and insights? Well it all starts with creative genius. Say hello to our big fat creative director, Michael Tooke. Michael started out with MBFBM in 1979 as an intern. He quickly became known for his coffee making skills and ability to empty garbage before anyone needed to ask. His boyish grin and Jimmy Carter coffee mug quickly became the brightest light in the office. 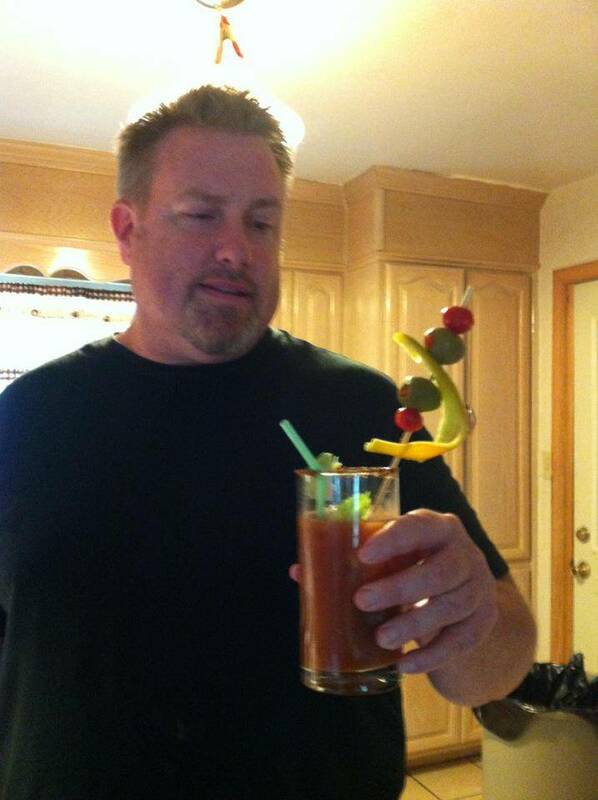 Working above and beyond the Call of Duty, he would often stay late and run experiments with the bloody Mary ingredients with little or no regard for his own safety. None of us will forget that morning that we came into work to find Michael sleeping at his desk with 2nd degree burns on his hands and face from a cayenne pepper experiment gone awry. It didn’t take long for management to recognize Michael’s talents and he was soon promoted to administrative assistant in our utensil division of the quality control section. A dirty cocktail spoon never had a chance with Michael on watch. As he moved through the ranks at MBFBM, Michael never lost his creative flair. As an errand boy in the Los Angeles campus, he would often return from a mundane errand with great excitement over an idea that occurred to him upon observing what many would have dismissed as insignificant. It wasn’t until Michael had contributed thousands of suggestions to management that he was finally promoted to the position of big fat creative director. Since taking over the bridge of the big fat creative division, Michael has steered the company ship to such amazing destinations as the Bloody Maria and Michelada recipes, the Demitri’s bloody Mary Mix affiliation, and most recently, our hiring of Molecular Mixology consultant Antonio Lai. Please join us in welcoming Michael to this position and pray that this promotion silences his incessant pleas for recognition and inclusion.